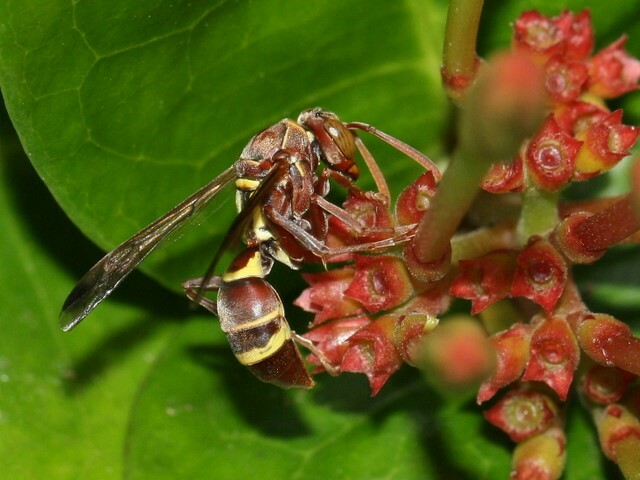 One of our local paper wasps, Polistes stigma townsvillensis, foraging on ixora. 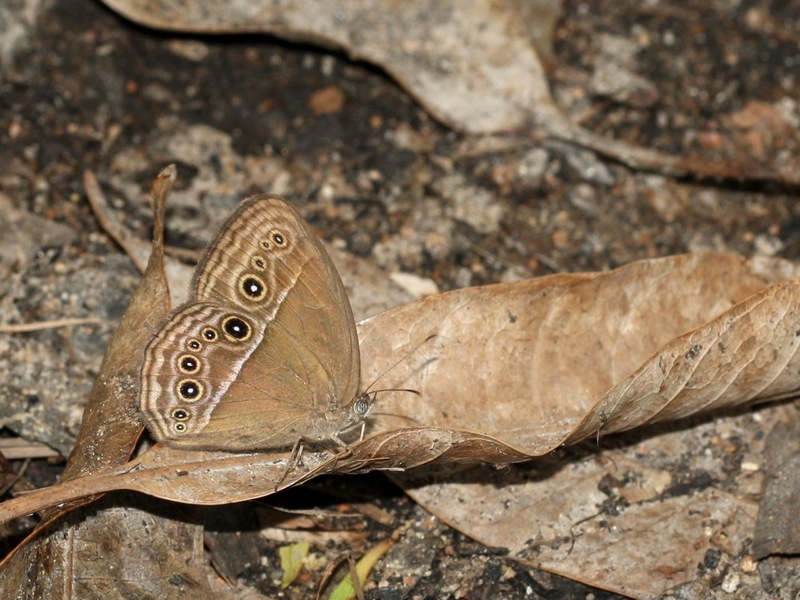 A Dingy Bush-brown, Mycalesis perseus (Nymphalidae), under our mango tree, showing just why Dingy is good: it brings safety from predators. 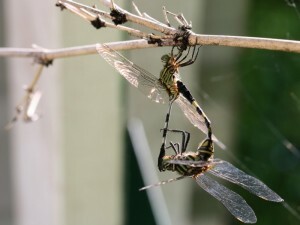 My garden is full of dragonflies at the moment (rain, too, but that’s harder to photograph). Odonata (dragonflies and damselflies) have a very special mating technique which is so odd I'm not even going to describe it.